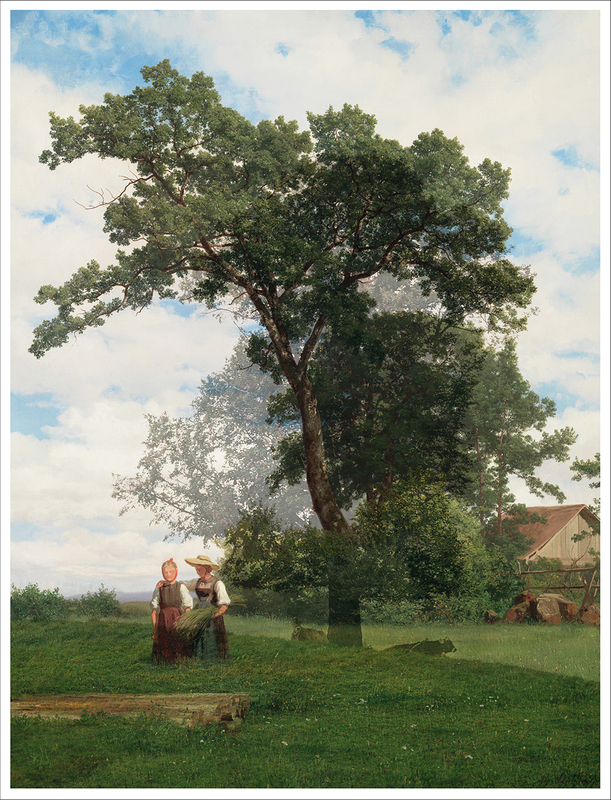 Robert Zünd (1827–1909) is Switzerland’s “Master of the Beech Leaf,” revered for his light-flooded paintings of bucolic landscapes. Tobias Madörin has achieved wide critical acclaim for his photographic tableaus that depict the interactions between people and their surrounding environment. Embedded in both artists’ work is a fascination with observation, or the intensity of the gaze, and so their works form a stylistically consistent pairing, the subject of an upcoming exhibition at Kunstmuseum Luzern. Bellevue juxtaposes Zünd’s paintings with photographs by Madörin, some of which show the same views. Zünd’s paintings of sunlit paradises are so precisely rendered that, rather than enjoying their beauty, viewers feel compelled to look more closely. Madörin achieves a similar intensity in his photographs, working with a large-format analogue camera that lends an unusual slowness and attention to detail to the photographic process. The book provides a new way of approaching the work of both artists and their perception of the landscape at the heart of Switzerland. A wealth of illustrations is complemented by essays by curators Fanni Fetzer and Dominik Müller and American art historian Jonathan Steinberg.